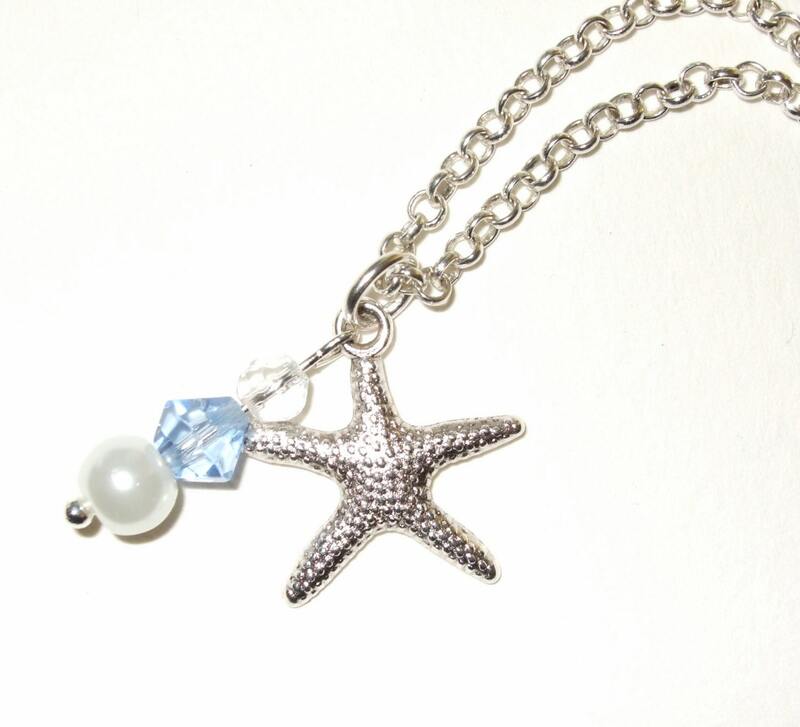 This cute little necklace has a fabulous silver plated textured starfish charm, with a little drop of beads including an ivory glass pearl, a blue glass crystal bicone and a clear faceted bead. 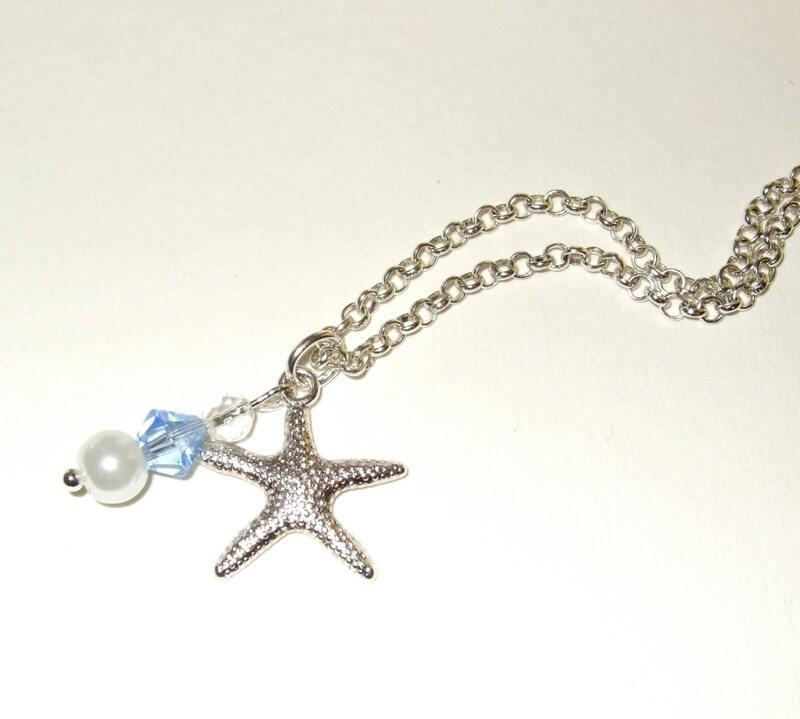 The necklace is a silver plated rolo link chain, at approximately 18"/45cm. 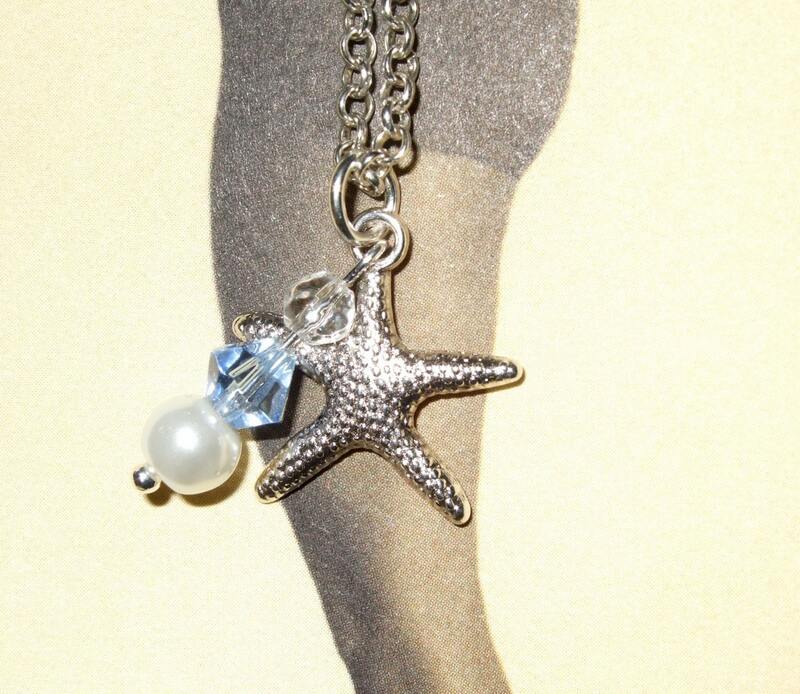 Please do convo me if you would prefer a longer or shorter chain as any length can be accommodated. 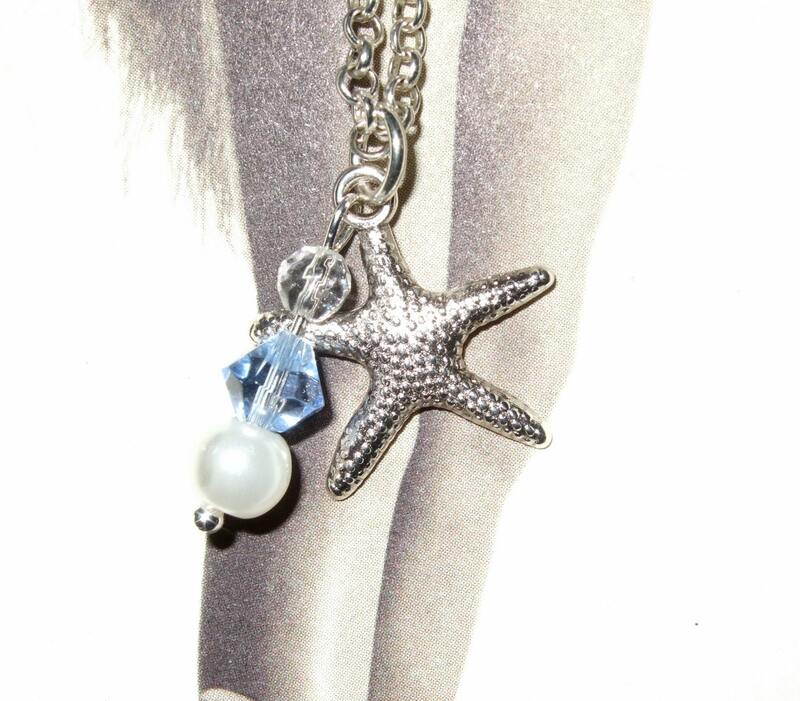 The charm section is just under 1"/2.25cm long in total. 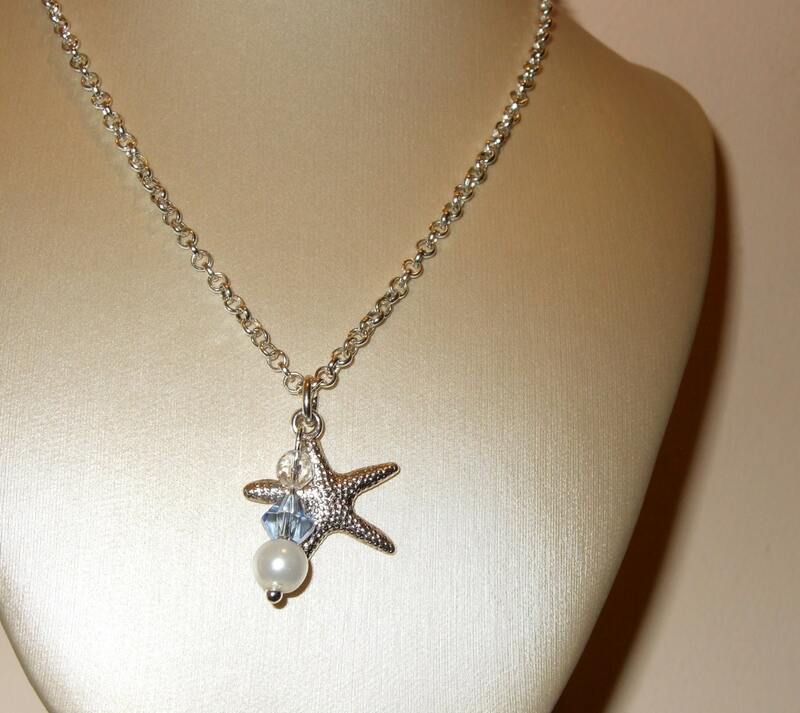 The chain is lead and nickel free, and fastens with a lobster claw clasp.